Learn how to create custom contact forms for your WordPress site in minutes with this easy, 18-part course for the popular Ninja Forms plugin. Ninja Forms is easily one of the most powerful, flexible, and easy-to-use form builder plugins for WordPress. In this hour-long course, we'll show you how you to install and use the Ninja Forms plugin to build just about any type of form you can imagine — from simple contact forms to event registrations, file uploads, payments, and more! Ninja Forms includes over a dozen pre-built templates to help you add custom forms to your site with just a few clicks. Or, you can build custom forms in minutes using a simple, ‘drag-and-drop’ form builder. If you’re a site owner, you’ll love how quickly and easily you can design complex forms with absolutely no code. Best of all, you can start using Ninja Forms on your website today… absolutely FREE! But there are also dozens of helpful add-ons to extend Ninja Forms, making it even more powerful. In this course, we'll introduce you to several of the most popular add-ons for Ninja Forms, and show you how you can use them to increase form conversions, build a mailing list, collect payments, or connect to your favorite productivity tools. Download, install, and configure the Ninja Forms form builder plugin for WordPress. Use the easy, drag-and-drop form builder in Ninja Forms to create just about any type of form you need. Trigger and send an email whenever a form is submitted on your site. 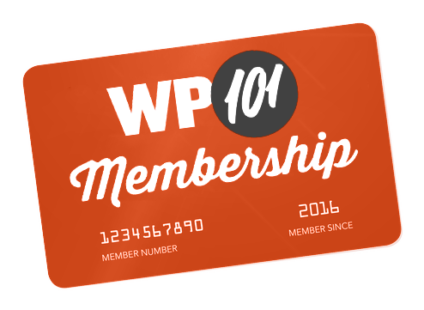 Add a form to a page, blog post, or widget area on your WordPress site. Create custom, multi-column layouts and styles for your forms. Create multi-part forms to break long forms into smaller sections for your visitors. Use conditional logic to create smart, interactive forms that react to your visitor’s actions. Create a quote request form that changes and adapts to a customer’s needs. Add a file upload field to your form, enabling your visitors to upload and send files to you. Use Zapier with Ninja Forms to connect your forms to hundreds of third-party services. Collect payments with either PayPal Express or Stripe and Ninja Forms. Create an email sign-up form so your site visitors can subscribe to your MailChimp email list. In this free video, we’ll introduce you to Ninja Forms, one of the most powerful and flexible form builders for WordPress. In this free video, we’ll show you how to install the Ninja Forms plugin on your own WordPress website. In this video, we’ll take a tour of the form builder in Ninja Forms and demonstrate just how easy it is to create a custom form, add and edit fields, and configure some basic form options. In this video, we’ll explore the Restrictions and Advanced Options in the Settings drawer and show you how to configure these options to create more advanced forms. In this video, we’ll explore how to create a simple Email Action that will create and send an email whenever a form is submitted by a visitor to your site. In this video, we’ll take a look at the Advanced form settings in Ninja Forms to further customize the Display Settings and Restrictions for a form. In this video, we’ll demonstrate several different methods for adding a Ninja Form to any post, page, or widget area on your WordPress site. In this video, we’ll show you how to view, edit, and manage all your Ninja Forms submissions in one place. In this video, we’ll explore how to use the Layout & Styles add-on for Ninja Forms to design multi-column layouts and custom styles so you can create any type of form you can imagine! In this video, we’ll show you how to use the Multi-Part Forms add-on for Ninja Forms to break long, boring forms into sections, creating a more intuitive flow for your visitors. In this video, we show you how to use the Conditional Logic add-on for Ninja Forms to create smart, interactive forms that react to your visitor’s actions. In this video, we’ll show you how to create a simple, multiple-choice quiz using Calculations in Ninja Forms. In this video, we’ll show you how to create an quote request form that provides a real-time price quote estimate based on the customer’s selections. In this video, we’ll show you how to add a file upload button to your Ninja Forms so your visitors can upload and send files to your web server, Dropbox, or Amazon S3. In this video, we’ll show you how to connect your Ninja Forms to Zapier, so you can integrate with your favorite third-party services, no coding required. In this video, we’ll show you how to start collecting payments on your website in just a few minutes with the PayPal Express add-on for Ninja Forms. In this video, we’ll show you how you can easily start collecting credit card payments on your website in just a few minutes with Stripe and Ninja Forms. In this video, we’ll show you how to use MailChimp and Ninja Forms to create simple email signup forms for your WordPress site, build an email list, and keep in touch with your audience.